We can supply packaging equipment and label machines for PLC control. Using the PLC control, the label is neat and precise. It can simultaneously stick 1 - 2 labels on the round body. The spacing between the two labels may adjust at will. It is suitable for the enterprises with many kinds and small quantity. The machine is our proprietary production in China. If you need more information about the feature of this equipment, please contact us without any hesitation. Thanks ! 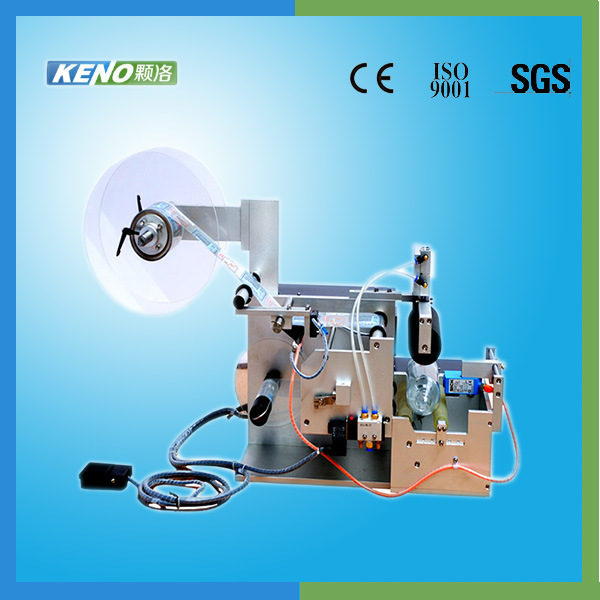 Â Shanghai Keno Industrial Co., Ltd. is an integrated corporation of science research, design, manufacture and sale. We have manufactured all kinds of machinery and materials for many years, such as filling machinery, computerized cutting machinery, labeling machinery, pallet wrapping machinery, printing machine, heat shrinking wrapping machinery, carton sealer, strapping machinery, metal detector, check weigher, PE stretch film, BOPP tape, PET strap and other related equipment.